Upgrade your paper air filter to a K&N Air Filter for your M3! Replace your stock air filter on your E90, E92, or E93 M3 with K&N Replacement Air Filter. Upgrade to K&N Air Filter E-1994/E-2994 and improve airflow to your engine, and never have to worry about buying another air filter for your M3 again! 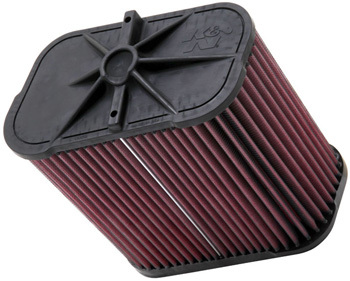 K&N's M3 Air Filter is covered by K&N's famous million-mile limited warranty. This air filter simply replaces your existing filter and is applicable for all U.S. Spec 2008-2011 BMW E90, E92, or E93 M3's. Boost performance and fuel economy with minimal effort and throw away your OEM paper air filter and replace it with K&N Replacement Air Filter for your M3.